An accessory kit that leaves nothing to be desired! 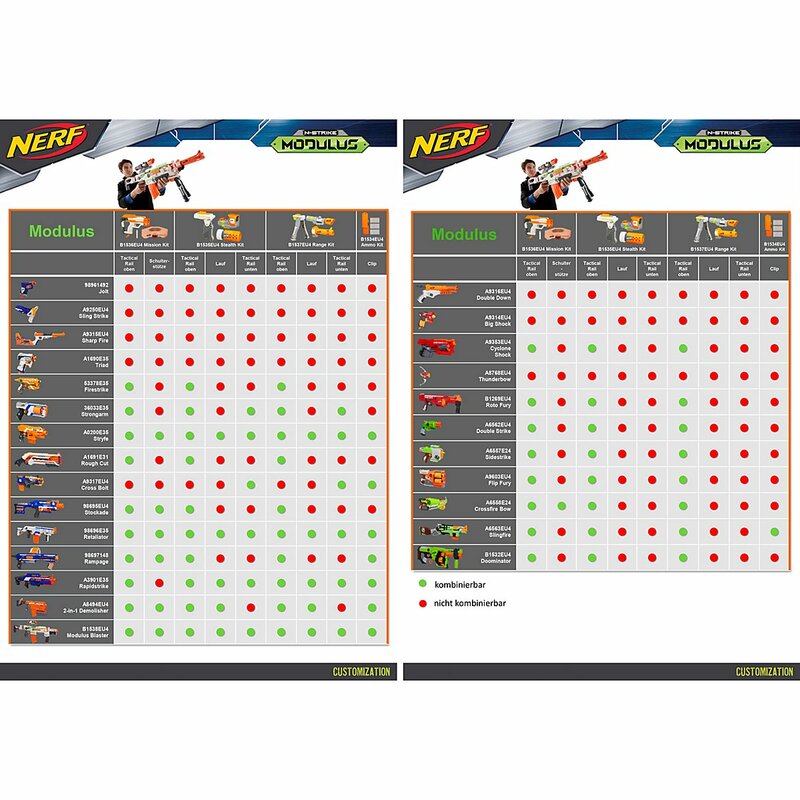 We have waited a long time for this and finally it is here - the Nerf Red Dot Sight has made it to the EU... And you can get it right here, along with a foldable foregrip and a suppressor-style barrel attachment for maximum tacticoolness! 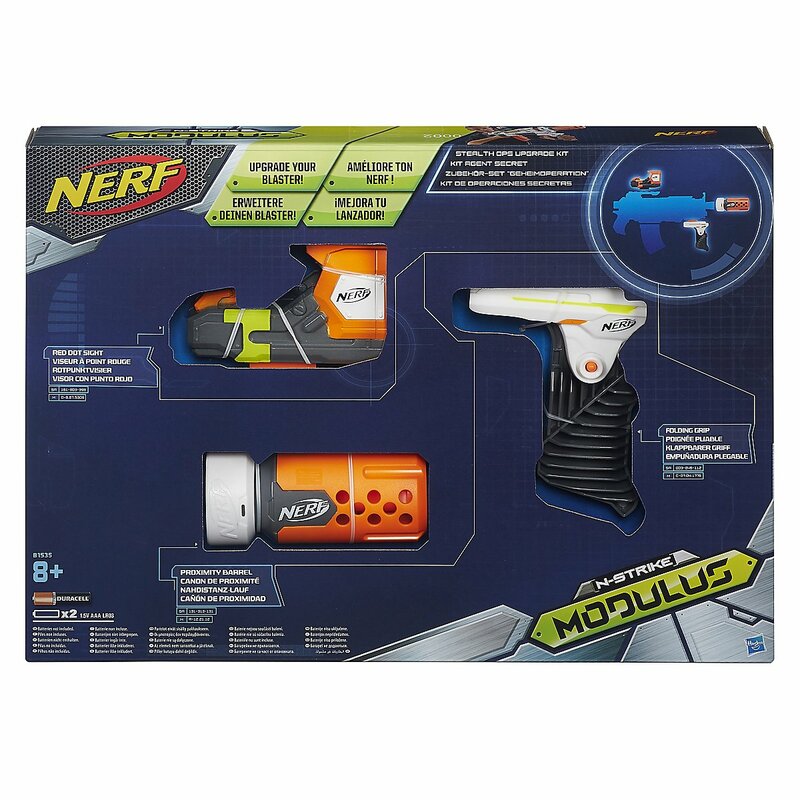 If you want to make your Modulus (or any other blaster with N-Strike attachment points for that matter - your Retaliator or Longshot will work just fine) look as badass as possible this is the way to go! 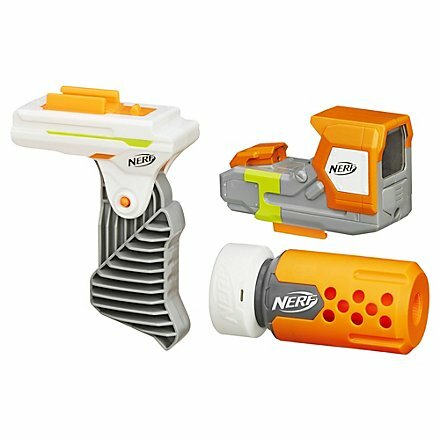 gun is epic These are the best parts for the nerf n-strike elite modulus. 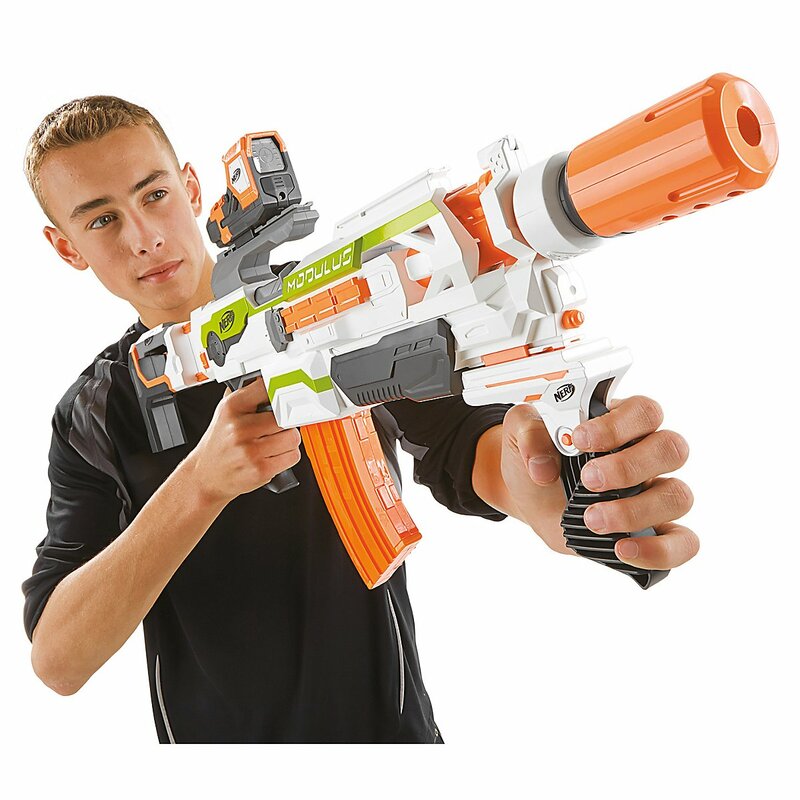 It works good with other nerf guns and yeah it is cool. I like the scope the most because it have a small red dot in the middle. 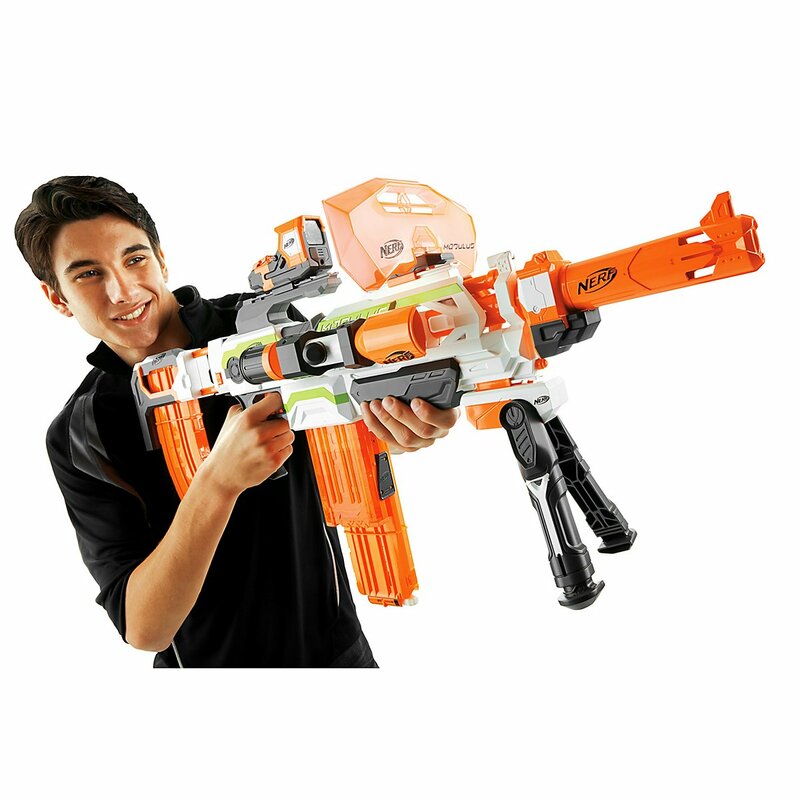 It really works fine and cant fall off the gun. The barrel looks like a silencer. It doesnt fit very well. Still it looks cool. The grip is nice because you can choose how you want it. You really must buy this kit and the gun too.